Is he the next Human Barbie doll? 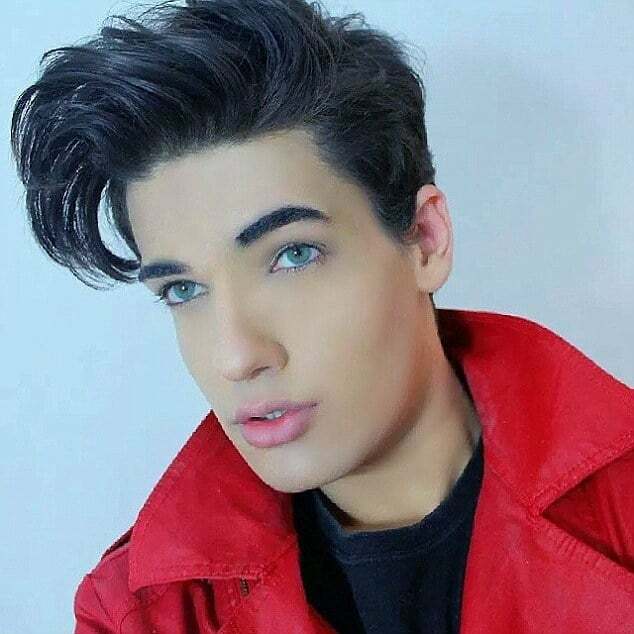 It seems Brazilian model Celso Santebanes has given Human Ken doll Justin Jedlica a run for his money as the ‘new Human Ken doll’ as he has been called has set tongues wagging after morphing himself into literally into Barbie doll’s plastic life boyfriend. Having already spent upwards of $50K, 20 year old Celso Santebanes admits to having had four operations on his nose, chin and jaw – plus silicone implants in his chest. The young man’s transformation began at the age of 16 after winning a modeling contest. For years, he claims, his family had been telling him he looked like the doll – which inspired him to become ‘a human puppet’. So enthralled, the model would change his last name from Borges Pereira to Santebanes, the name of his favorite character on a Mexican TV show. 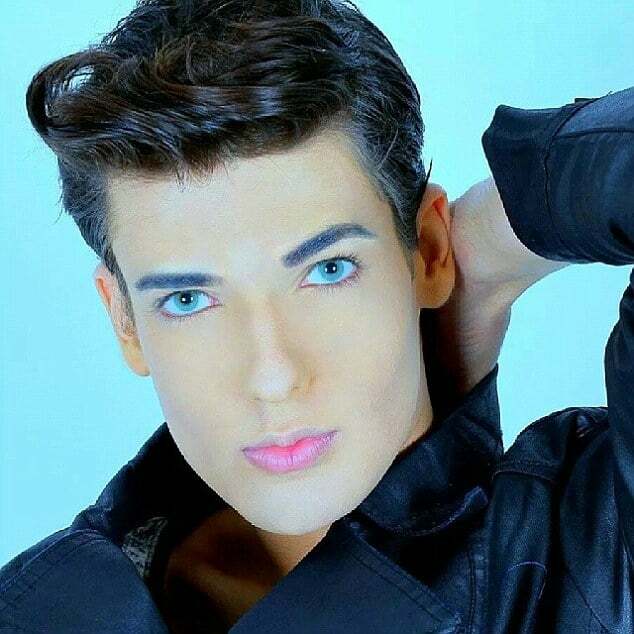 A chance sighting by a talk show led to the model catapulted to fame with Celso Santebanes now charging up to $17,000 for VIP appearances, money he doesn’t think twice about reinvesting back into his doll like appearance. 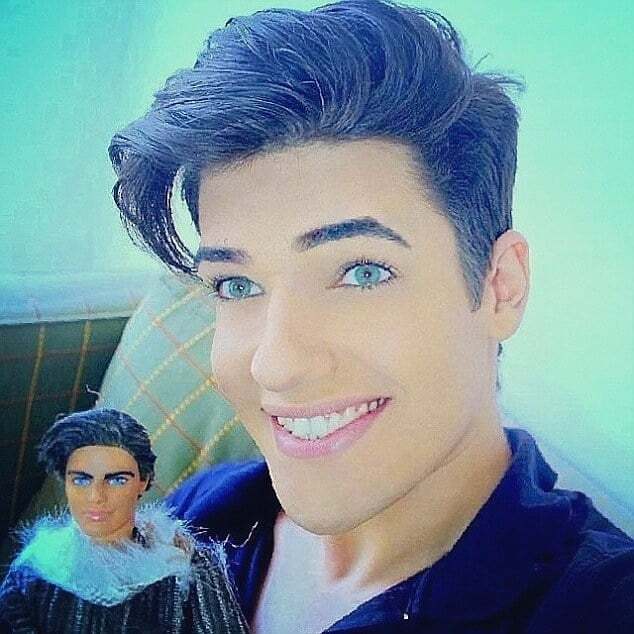 In fact so real life is the model’s doll like portrayal, the model has now been given his very own doll line along with being in talks to get his own reality show. Told the new Human Ken doll on instagram: ‘I went to the city to become a model. ‘I never expected to have a toy myself. Now he is preparing to travel to LA next month to launch the Celso Doll. 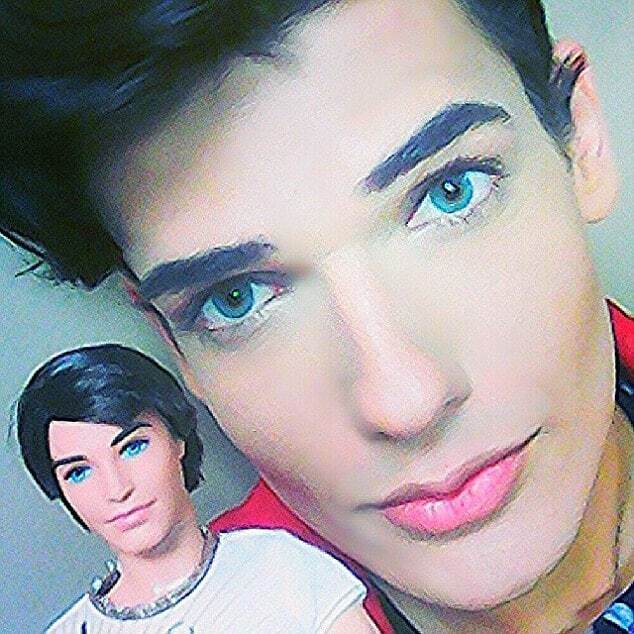 Told the new Human Ken doll in an interview with a Brazilian paper: ‘This is all so magical. My life has changed. ‘I feel like the whole of Brazil is supporting me. ‘People are sometimes frightened by the way I look, and stop me to say how much I look like a doll! 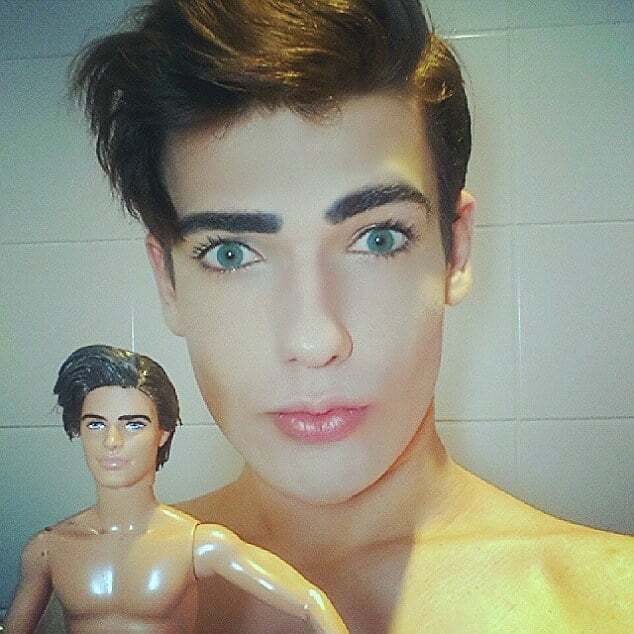 With a self-professed addiction to staring at his reflection, Celso has also vowed to join forces with the Russian Barbie Valeria Lukyanova.